Dealing with the past can be a very difficult thing. Some people have been deeply wounded by past events that has left them feeling angry and bitter in the present. 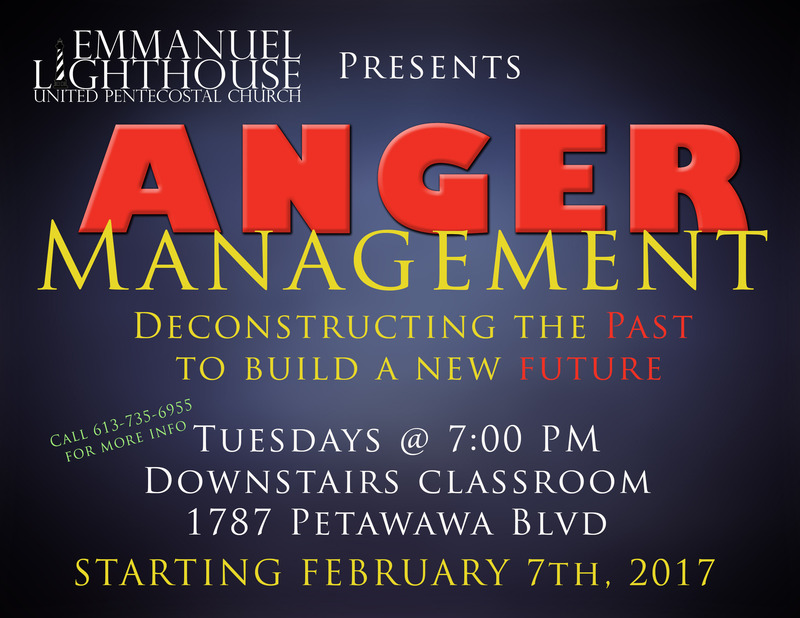 Starting in February 2017 we will be running a weekly Anger Management class where we will examine the past and the sources of anger while also working to release the hurt and start to build a new future. Take a look at the poster below and call 613-735-6955 for more information.